Pay it Forward Friday | The Taylor Reach Group Inc.
We are all busy and we all struggle to improve our own lives and that of those around us. But we also know at some intuitive level that helping people by doing good helps us to live a better life and feel better about ourselves. Can we help others by ‘paying it forward’, knowing that somewhere and sometime we may need help from others. Whether you call it ‘paying it forward’, creating good karma or simply as random acts of kindness, doesn’t matter. What does matter is being open to the idea of helping others, because you can. 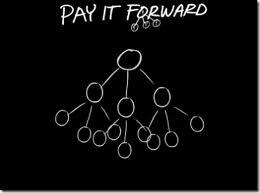 At Taylor Reach we are committed to helping others and offer ‘Pay IT Forward Fridays’ to do just that. Each Friday we set aside and hour or so to assist others with their call center, contact center, customer experience issues and questions. We do this at no cost and with no expectation of anything other than to be of assistance. 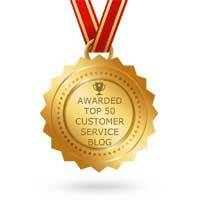 Do you wonder which are the best metrics to use to manage your center? Are you looking at outsourcing and wonder the real risks and common points of failure? Would you like an opinion of one technology vendor versus another or one potential contact center location versus another? We can help. If you would like to take advantage of Pay It Forward Fridays just send me an email and let me know what you issue or challenge is and when you would like to speak. We operate in the eastern time zone so during the work day is best for us. If coordinating a convenient time is challenge we will work to find a date and time that works even if it isn’t Friday.